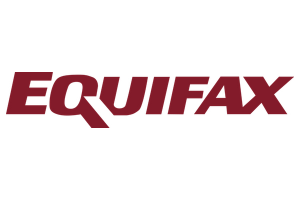 ST. LOUIS (December 13, 2016) – Equifax Workforce Solutions, a leader in human resource, analytics and verification services, and a business unit of Equifax Inc. (NYSE:EFX), today announced the launch of its first-to-market digital Wage Audit Service. According to the United States Department of Labor, nearly $11 out of every $100 in unemployment benefits are improperly paid; therefore, nearly $3 billion in unemployment benefits are improperly paid annually. State agencies use wage audits to help reduce improper payments by attempting to identify claimants who simultaneously collect a paycheck and unemployment benefits. Responding to wage audits can be time-consuming and burdensome for employers, requiring manual calculations and reporting procedures that differ by state. Through its new Wage Audit Service, Equifax delivers a simple solution that provides employers with the tools needed to help manage the challenges associated with state wage audits. Capitalizing on the company’s expertise in technology, innovation, state labor and employment requirements, and its leading role in helping companies manage unemployment costs and compliance, this new service takes the onus off of busy HR departments that might not have time to retrieve archived payroll records and complete a wage audit by the required deadline. Using a proprietary, real-time and rules-based database, this service delivers specific audit responses, in the required format, to each state agency wage audit request and matches employee data to each audit request. Many states and jurisdictions have very specific response requirements and formats. Nearly a third of the state agencies will no longer accept payroll information not aligned to the specific dates requested and require that responses be delivered in a particular format, usually from Sunday to Saturday, which typically does not match standard employer pay periods that run Monday to Sunday. Some states issue wage audits with truncated social security numbers, creating more work for HR departments to cross-reference and match the request with the right employee. An extension of the Equifax Unemployment Cost Management offering, the digital Wage Audit Service is available as either a fully-automated solution or as a web-based module providing a simplified online workflow. Both implementations were designed to offer employers the opportunity to achieve process improvement and resource efficiencies when responding to wage audits from the various state agencies.